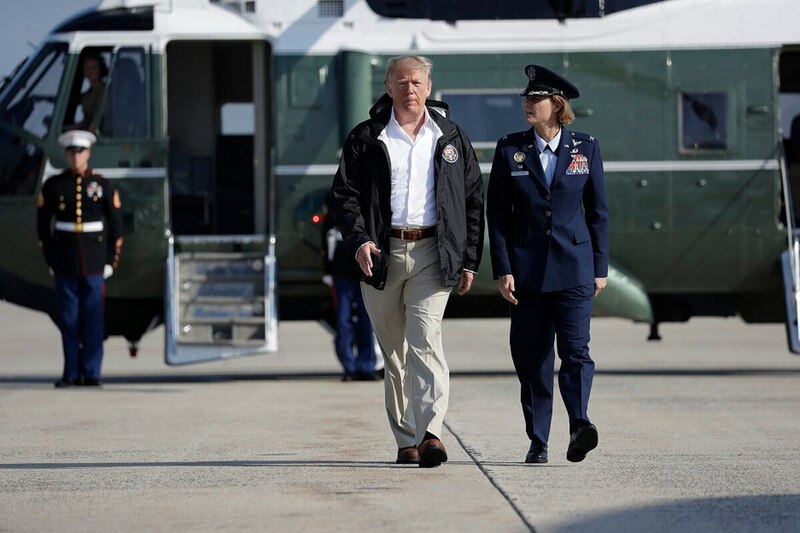 WASHINGTON — Just as the Pentagon’s budget for next year appeared settled, a series of early morning tweets from President Donald Trump raised the possibility of problems with the congressional appropriations process in days to come. Trump, who has repeatedly complained that Democrats are undermining national security by blocking funding to construct a wall along the southern U.S. border, took to the social media platform Thursday morning to blast “this ridiculous Spending Bill” for sidestepping the issue. Trump also quoted Sen. David Perdue, R-Ga., who earlier in the week blasted Democrats for “obstruction” for their opposition to the wall issue and to finalizing a host of White House nominations. To avoid a government shutdown at the end of the month, House lawmakers must pass the spending measure next week. The comments came just two days after senators overwhelmingly passed a “minibus” appropriations measure that would provide about $674 billion for the Department of Defense in fiscal 2019, along with full-year funding for the departments of Health and Human Services, Education and Labor. If House members agree to the deal next week — and leaders from both parties have already signaled they will support it — the plan will mark the first time in 10 years that the defense budget has been finalized before the new fiscal year, which starts on Oct. 1. If Trump’s comments scuttle those House plans, or if Trump decides to veto the measure, it would trigger a partial government shutdown at the end of the month instead of the legislative victory lap that lawmakers had been anticipating. Pentagon officials in recent years have lamented the use of temporary budget extensions to avoid federal funding halts and operations shutdowns, saying they inhibit their ability to start new programs and keep equipment purchases on schedule. Trump did not specifically advocate for stopping the defense minibus deal, or say he would veto the measure. Along with the four agency full-year budgets, the legislation also includes an extension of the current spending levels for a host of other departments until Dec. 7. Congress is expected to deal with final funding for those programs — and possibly the border wall issue — after the November mid-term elections. Last week, lawmakers finalized a similar appropriations package for the Department of Veterans Affairs and military construction funding. Trump is expected to sign that bill into law in the next few days.